Here's an update on (1) recent progress on Governor Inslee’s Southern Resident Orca Task Force, and (2) to share some media and public actions by SOS and friends, and (3) keep you posted on what’s ahead. (3) Protect and restore freshwater, estuary and marine habitat across the region (Recs. 1-4 - 72% strong support). These recommendations are also top SOS' priorities! Unambiguous public support like this is critical to advance our work on the ground at the Task Force and in other venues. Thank you for taking action and speaking out! You helped send a clear message to the Task Force, Governor Inslee and other policymakers in the Northwest that there's public demand for bold, urgent action. Importantly, the science also strongly supports these three priority actions to help endangered salmon and orca. It’s a perfect match and one we'll highlight as we move forward. SOS’ top two recommendations – (1) increased spill at Columbia-Snake dams and (2) the establishment of a lower Snake River dam removal planning forum – were both discussed and debated. Some Task Force members challenged these recommendations and their language, but many supported and advocated for them. SOS is grateful to Governor Inslee for establishing the Task Force, and to the leaders and members of the Task Force for their hard work over the past 7 months. These recommendations aren't perfect, but they represent a critical first step on the path to protect and restore the Southern Resident orca and the salmon populations and Northwest habitats they rely upon. The plight of the orca is no less urgent today than it was when the Task Force was first established. 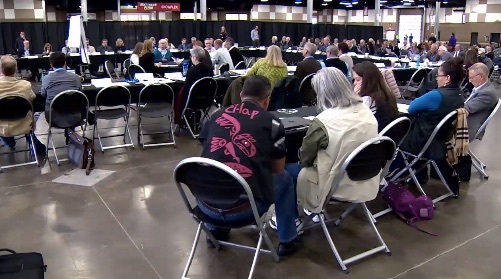 It is critical that the Governor act quickly and decisively to fund and implement this initial set of recommendations – to increase spill, to establish a lower Snake River tribal/stakeholder forum, along with the others. The Washington State legislature also has a critical role to play – to provide funding, adopt new policy, and more. Public pressure and support must grow – not wane in 2019. Elected leaders rarely act without public support and relentless pressure. We have much work ahead. We must remind policymakers that doing what is right for orca and salmon will also improve the lives, health, communities and quality of life for Northwest people as well. All things are connected. The Governor’s Task Force will continue its work at least through the end of 2019. This is a good thing – because much work remains. SOS will remain vigilant and engaged – and we’ll continue to keep you informed and ask for your help. 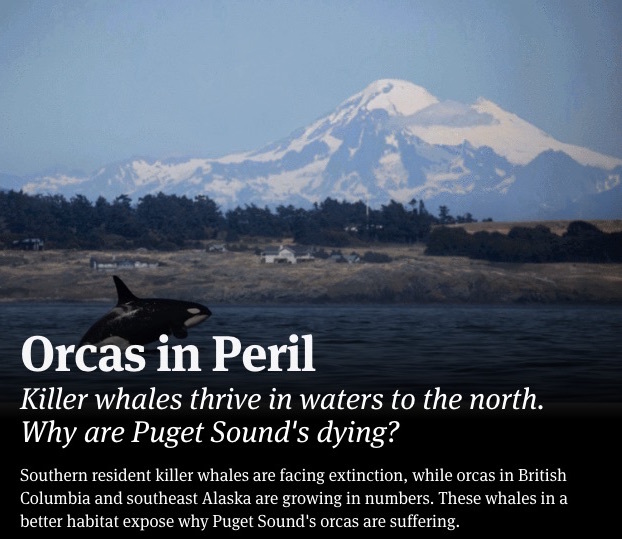 Hostile Waters: Orca thrive in a land to the north. Why are Puget Sound’s dying? Fifth, follow the links below to several public actions organized this weekend that help maintian the drumbeat on behalf of endangered orca and the chinook salmon populations they depend upon. Huge thanks to our friends at the Backbone Campaign for their partnership on behalf of orca, salmon and our communities.